Origin is now in stock! 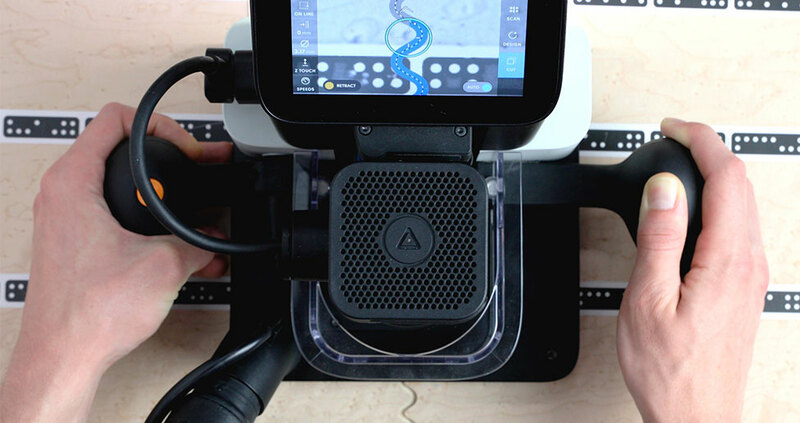 Shaper Origin combines computer-guided accuracy with hand-held familiarity. Cut with unparalleled precision, flexibility and efficiency. Origin locates itself in a workspace and makes continuous real-time adjustments while the user is cutting. The result is precision — wherever you need it. From a custom flooring installer’s expansive musical staff inlay to a luthier’s delicate fretboard, Origin is able to cut accurately at an unmatched range of scales. Use Origin as an all-in-one library for your hardware. With Origin’s precise registration of multiple-depth pockets and hole patterns, once-challenging projects are simplified. Create your own fixtures. Cut perfectly mating mortise and tenons, regardless of the size, shape, or location of your stock. Use Origin to create designs wherever you work. Make adjustments on-site, on the fly, no computer required. No time to design? No problem: send your sketch or half-finished design to our team at Shaper Assist, and for a reasonable fee, they will send you an Origin-ready design. No tool programming or CAM file preparation is required; Origin creates tool paths live on-tool. Use a 2D design program like Adobe Illustrator or a 3D program like Fusion 360. Export files as SVGs and you’re ready to cut. Explore ShaperHub’s continuously expanding library of downloadable designs and projects. Use ShaperHub to store your designs and share them with others.